Posted by Jenny Kane on Mar 12th, 2014 in Blog, News | Comments Off on Who’s Gonna Tell The Kids? By Richard Wagner, M.Div., Ph.D. I often talk about how postponing any thoughtful consideration of our death till it’s too late, can have disastrous consequences for us in terms of preparing for the inevitable. I addressed how our death-denying culture provides precious few opportunities for us to deal healthily with our mortality before it comes crashing in on us. 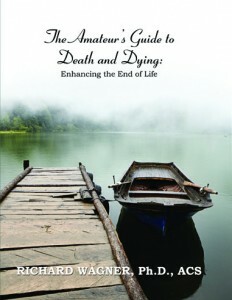 Why is dealing with death so hard for us? Early childhood messages about death sure don’t help. Think phantoms, skeletons, things that go bump in the night, and specter of hell and damnation. From a young age, most of us have had it drilled into our heads that we shouldn’t ask questions or even talk about death because it’s either inappropriate, it’ll bring bad luck, or worse, hasten death. 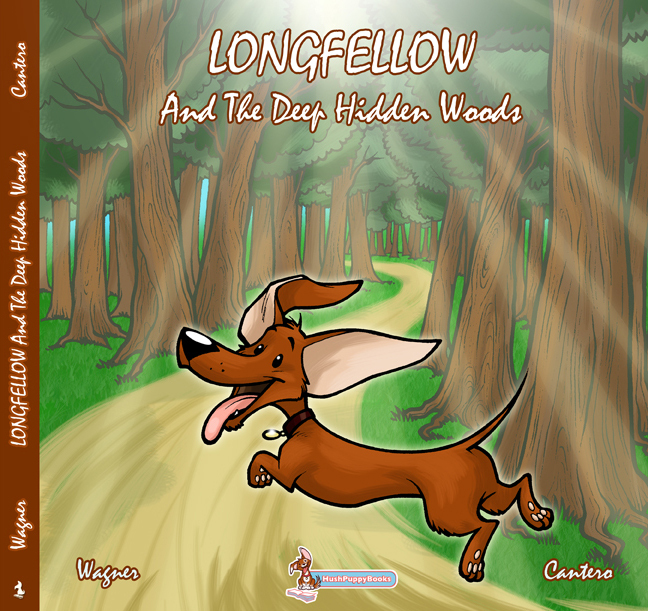 By way of example, I share with my audience my latest children’s story, Longfellow And The Deep Hidden Woods. 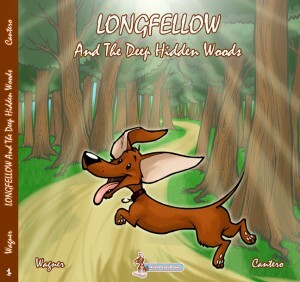 (http://www.hushpuppybooks.com/our-books/longfellow-and-the-deep-hidden-woods/) This is the story of Longfellow, the bravest and noblest wiener dog in the world. As my story begins, Longfellow is a puppy learning how to be a good friend to his human companions; old Henry and Henry’s nurse Miss O’weeza Tuffy. By the end of the story, Longfellow has grown old himself, but he is still ready for one final adventure. What happens in between throws a tender light on the difficult truths of loss and longing as well as on our greatest hopes. Curiously enough, all the adults who have read my story say they think it’s actually a book for adults. Maybe so! I can be really subversive like that. 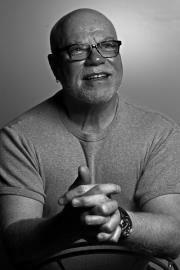 Writing and illustrating a children’s story with your kids and grandkids can be an amazing bonding experience for both the adult and the child, but this is especially true when the topics are death and bereavement. It’s a project that will open the door to a life-long appreciation for and the affirmation of life, especially it’s final season. The discussion that will be part of your story-writing project will also help you reshape the coming generation’s perceptions about the end of life. It may also help you rethink the early message you received about death and dying when you were a kid. Try to imagine how writing a story about death and grief with your kids or grandkids will change the trajectory of their life in terms of their understanding of this fundamental fact of life. Imagine if someone asks your kids or grand kids, twenty or forty years from now, what their earliest memories about death and dying are. Surely they will think back fondly on the time they spent with you as you helped them understand the marvelous cycle of life. Many many thanks to you Richard for visiting today. I have had the privilege of reading Longfellow already- it’s a great book, with some simply gorgeous illustrations.